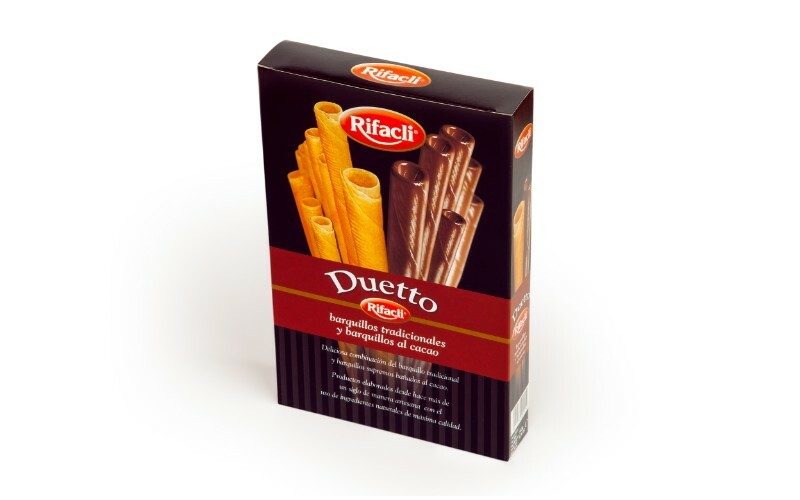 In the same box, two flavors of long rolled wafers: vanilla and bathed in cocoa. To delight everyone’s papillae at home and vary the pleasures. Rolled wafer: Wheat flour, sugar, palm vegetable oil, powdered egg, salt, soy lecithin, colouring: E-150 (d), vanillim and flavourings. Rolled wafer with cocoa coating: Wafer ingredients and cocoa coating 40%: Sugar, hydrogenated palm kernel vegetable oil, degreased cocoa powder, soy lecithin, cinnamon and flavourings.